Daniel Dobson finished his fifth season as the top assistant on John Hedlunds coaching staff in 2018. He serves as the top recruiting assistant and also coaches the field players. Dobson started out as a volunteer assistant at North Texas in 2012 and moved into a full-time position in 2014. Since Dobson joined the Mean Green, he has helped lead North Texas to nine championships (five regular-season & four conference tournament championships) and four trips to the NCAA Tournament. He also helped lead North Texas to a school record in wins with 19 (2015) and a Conference USA record for shutouts in a season with 16 shutouts (2015). In 2018, the Mean Green were the Conference USA Regular Season and Tournament champions and boasted a conference-best nine all-conference players including junior All-American Dominique James who was named the conference's Defensive Player of the Year and overall Player of the Year. In 2017, Dobson helped lead the Mean Green to another Conference USA championship and advanced to the NCAA tournament for the fifth time in school history. North Texas finished with a 14-4-4 record, the program's 23rd consecutive winning season and featured the conference's top defense that allowed just .8 goals per match and had one of the country's most potent offense's, scoring the eighth most goals (49) in the country. The Mean Green had three players earn all-conference nods, including first-team selectee Dominque James. The Mean Green improved their NCAA-best undefeated home conference unbeaten streak to 44 by positing a 4-0-1 record in home conference matches in 2017. North Texas hasn't lost a home conference match since Oct. 31 2008 and are 41-0-3 during the streak. In 2016, Dobson helped lead the Mean Green to their third straight Conference USA regular-season conference title. The Mean Green went 9-1 in conference play, only the second time that a North Texas team has won nine league games. North Texas earned the No. 1 seed in the Conference USA Championship but ultimately lost in the semifinals. In 2015, Dobson helped coach the Mean Green to what might go down as the best team in program history. North Texas won a school-record 19 games, en route to winning back-to-back regular season titles. The team won its first Conference USA Championship and advanced to the NCAA tournament for the fourth time in school history. The 2015 team was ranked as high as No. 3 in the central region and received votes in the national poll throughout the season. North Texas also beat TCU, 1-0, on the road. Dobson mentored nine all-conference players, including C-USA Co-Offensive Player of the Year Rachel Holden, Midfielder of the Year Karla Pineda and first-team all-conference goalkeeper Jackie Kerestine. The 2014 team won its first Conference USA regular-season title behind a record of 16-5-1 and 14 shutouts. Rachel Holden, Karla Pineda and Jackie Kerestine received all-conference honors for their play in 2014. North Texas also defeated Oregon State (Pac 12) at home. In 2013, North Texas defeated two Big 12 teams: at TCU (2-0) and at Oklahoma (5-0). 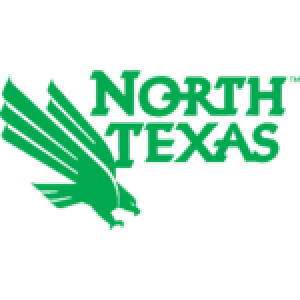 North Texas finished second in C-USA and advanced to the conference finals. Dobson helped coach the 2013 C-USA Offensive Player of the Year (Rachel Holden) and 2013 C-USA Defensive Player of the Year (Kelsey Hodges). Hodges went on to sign a professional contract with the Seattle Sounders Women in 2014 and a Division I team in Sweden. As a player, Dobson was a standout for Memphis from 2001-04. He was named team captain for his senior year and led the Tigers win a C-USA regular season and tournament championship. That year, Memphis was ranked as high as No. 10 in the nation, the highest-ever ranking for Memphis. He became the first Memphis product to sign a Major League Soccer contract, and spent time with both the Kansas City Wizards and Chivas USA. After his playing career, Dobson has spent 12 years coaching club, academy, high school and collegiate soccer squads throughout the Metroplex. This will be his seventh season with the Mean Green program. Dobson is a graduate of Naaman Forest High School in Garland, Texas. He and his wife, Casey Fields Dobson, have two sons, Luke and Casen.